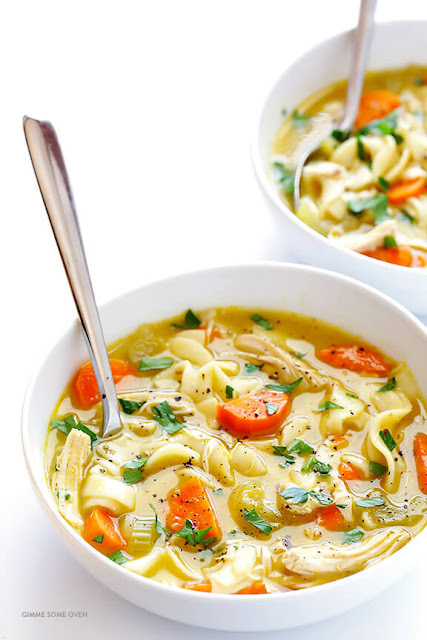 This Rosemary Chicken Noodle Soup recipe is kicked up a notch with the addition of lots of fresh aromatic rosemary, and it’s ready to go in about 30 minutes! 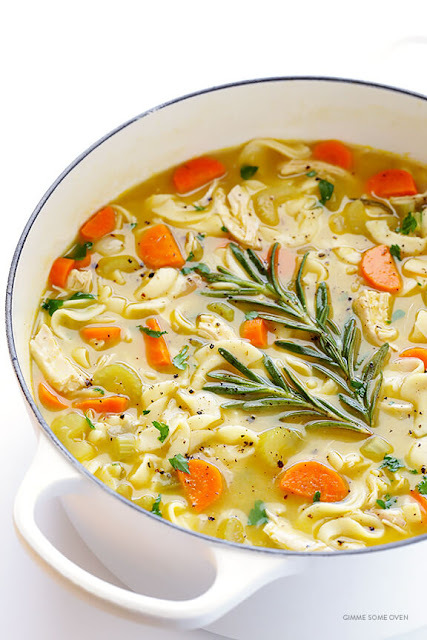 Once the broth is ready, remove the rosemary, and stir in the egg noodles and chicken. Continue cooking for 8-10 minutes or until the egg noodles are al dente. (The longer they cook, the more broth they will soak up. Feel free to add more chicken stock if desired.) Season the soup with salt and pepper to taste.